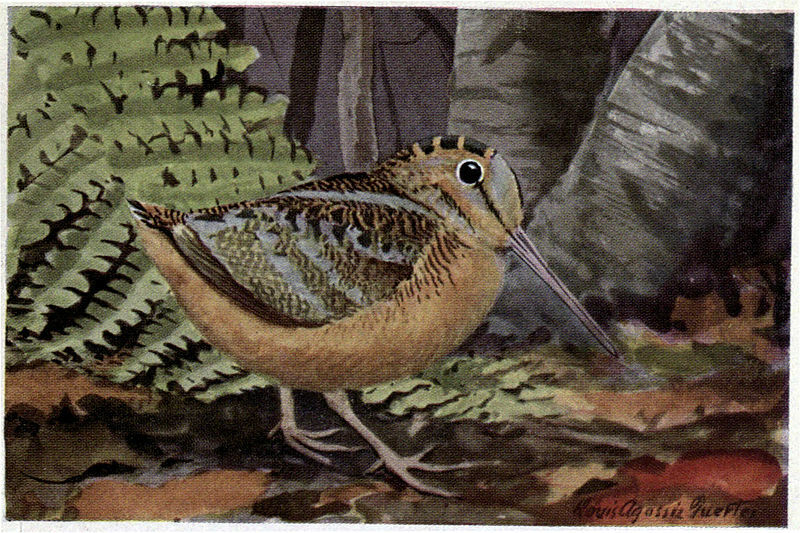 The Woodcock and the Spotted Sandpiper. CHAPTER 9. Longbill and Teeter. Listen to the story read. From the decided way in which Jenny Wren had popped into the little round doorway of her home, Peter knew that to wait in the hope of more gossip with her would be a waste of time. He wasn’t ready to go back home to the dear Old Briar-patch, yet there seemed nothing else to do, for everybody in the Old Orchard was too busy for idle gossip. Peter scratched a long ear with a long hind foot, trying to think of some place to go. Just then he heard the clear “peep, peep, peep” of the Hylas, the sweet singers of the Smiling Pool. Peter turned quickly. 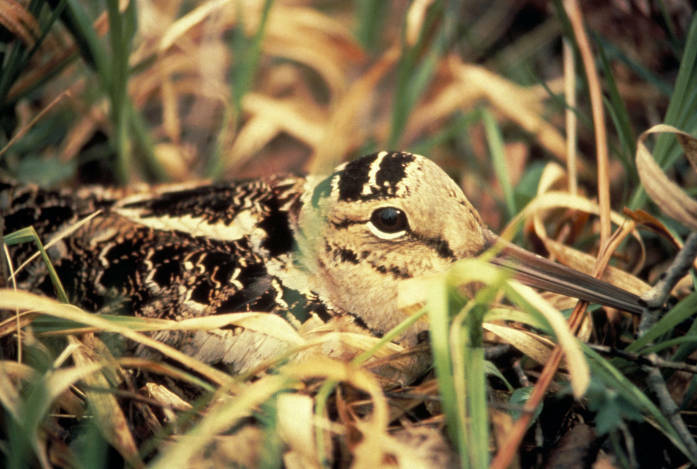 There was Mrs. Woodcock peeping at him from behind a tussock of grass. “Certainly I’ll excuse you,” replied Peter, staring around very hard to see what it could be Longbill was making such a good meal of. But Peter couldn’t see a thing that looked good to eat. There wasn’t even a bug or a worm crawling on the ground. Longbill took two or three steps in rather a stately fashion. Peter had to hide a smile, for Longbill had such an air of importance, yet at the same time was such an odd looking fellow. He was quite a little bigger than Welcome Robin, his tail was short, his legs were short, and his neck was short. But his bill was long enough to make up. His back was a mixture of gray, brown, black and buff, while his breast and under parts were a beautiful reddish-buff. It was his head that made him look queer. His eyes were very big and they were set so far back that Peter wondered if it wasn’t easier for him to look behind him than in front of him. Suddenly Longbill plunged his bill into the ground. He plunged it in for the whole length. Then he pulled it out and Peter caught a glimpse of the tail end of a worm disappearing down Longbill’s throat. 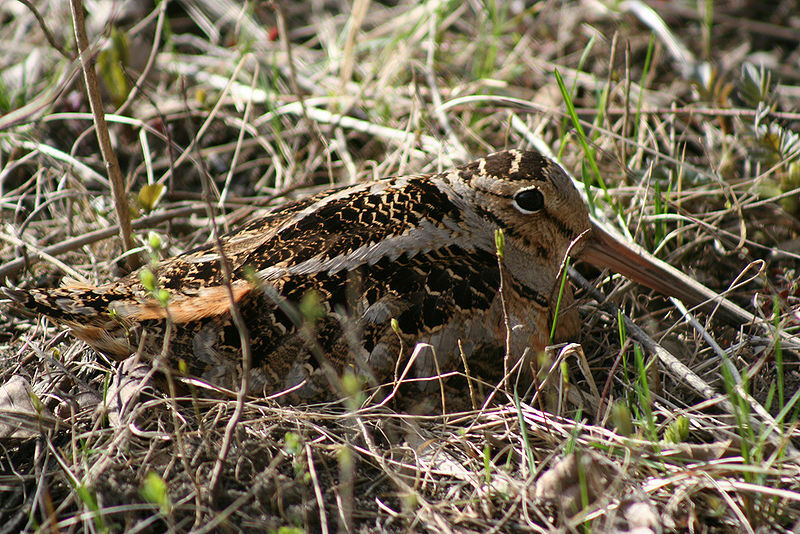 Where that long bill had gone into the ground was a neat little round hole. For the first time Peter noticed that there were many such little round holes all about. “Did you make all those little round holes?” exclaimed Peter. “And was there a worm in every one?” asked Peter, his eyes very wide with interest. Peter remembered how he had watched Welcome Robin listen and then suddenly plunge his bill into the ground and pull out a worm. But the worms Welcome Robin got were always close to the surface, while these worms were so deep in the earth that Peter couldn’t understand how it was possible for any one to know that they were there. Welcome Robin could see when he got hold of a worm, but Longbill couldn’t. “Even if you know there is a worm down there in the ground, how do you know when you’ve reached him? And how is it possible for you to open your bill down there to take him in?” asked Peter. So Peter said good-by and kept on down the Laughing Brook to the Smiling Pool. Right where the Laughing Brook entered the Smiling Pool there was a little pebbly beach. Running along the very edge of the water was a slim, trim little bird with fairly long legs, a long slender bill, brownish-gray back with black spots and markings, and a white waistcoat neatly spotted with black. 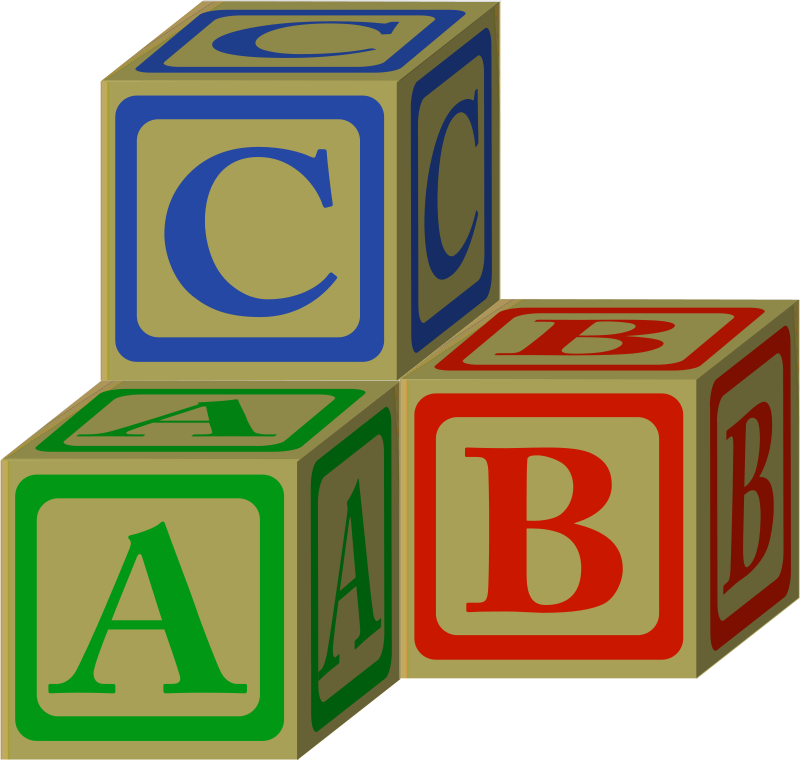 Every few steps he would stop to pick up something, then stand for a second bobbing up and down in the funniest way, as if his body was so nicely balanced on his legs that it teetered back and forth like a seesaw. 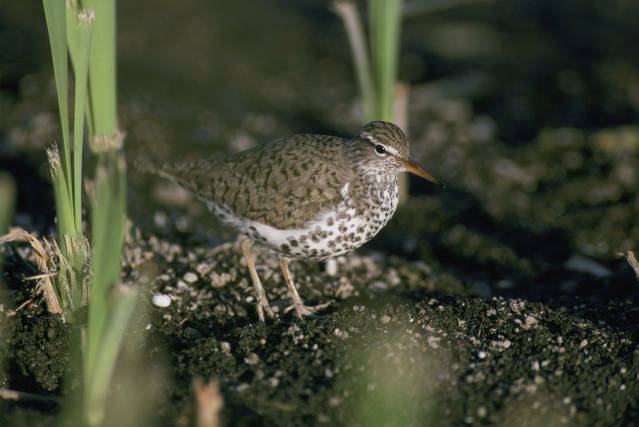 It was Teeter the Spotted Sandpiper, an old friend of Peter’s. Peter greeted him joyously. “Peet-weet! Peet-weet!” cried Teeter, turning towards Peter and bobbing and bowing as only Teeter can. Before Peter could say another word Teeter came running towards him, and it was plain to see that Teeter was very anxious about something. “Don’t move, Peter Rabbit! Don’t move!” he cried. “Why not?” demanded Peter, for he could see no danger and could think of no reason why he shouldn’t move. Just then Mrs. Teeter came hurrying up and squatted down in the sand right in front of Peter. Peter was puzzled. He showed it as he stared down at Mrs. Teeter just in front of him. “I don’t see any nest or eggs or anything,” said he rather testily. Mrs. Teeter stood up and stepped aside. 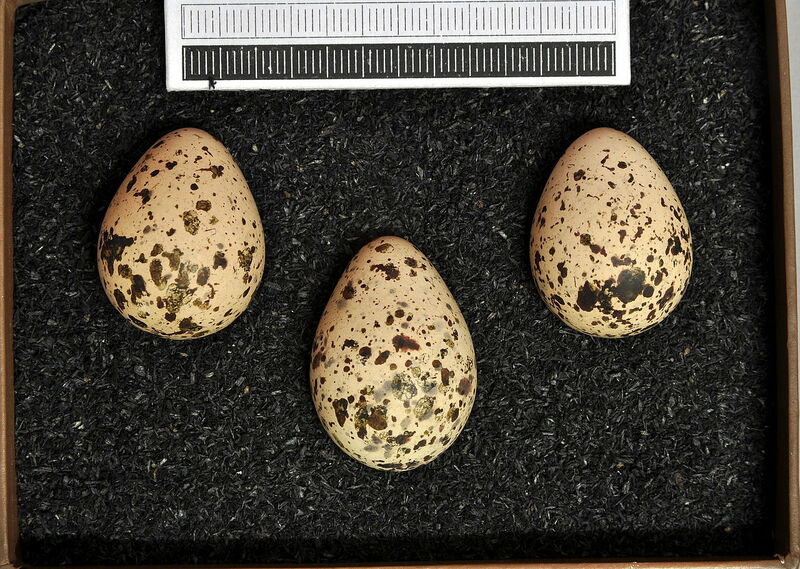 Then Peter saw right in a little hollow in the sand, with just a few bits of grass for a lining, four white eggs with big dark blotches on them. They looked so much like the surrounding pebbles that he never would have seen them in the world but for Mrs. Teeter. Peter hastily backed away a few steps. Mrs. Teeter slipped back on the eggs and settled herself comfortably. It suddenly struck Peter that if he hadn’t seen her do it, he wouldn’t have known she was there. You see she looked so much like her surroundings that he never would have noticed her at all. Our Lord created these birds with a neat bills to help them feed and also great colors to help them stay hidden from danger. 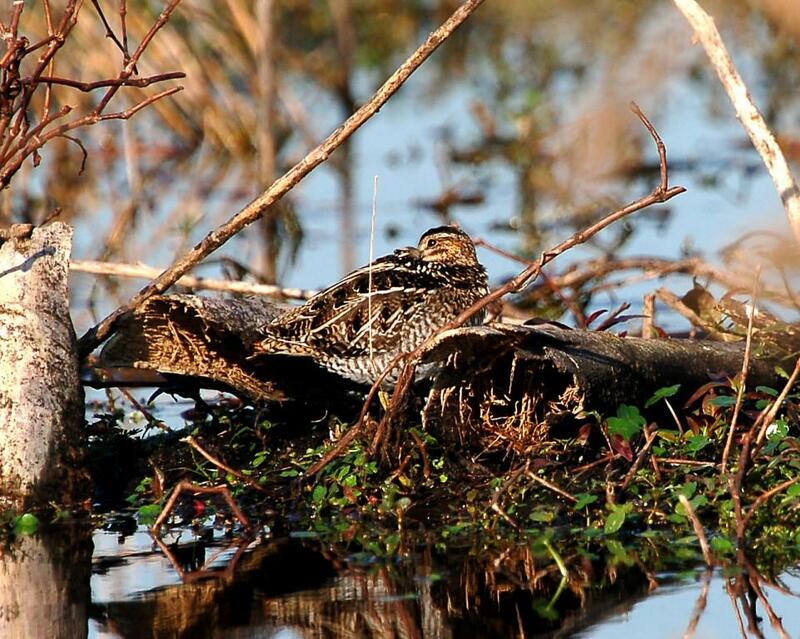 These birds all belong to the Scolopacidae – Sandpipers, Snipes Family. There are 96 species in this family. What is Longbill’s first reaction at danger? Can you describe Longbill’s tail, neck and eyes? What is special about his bill? Where does he like to catch worms? Why did she stop Peter Rabbit? This entry was posted in Birds, Birdwatching, From The Past and tagged Birdwatching Tips, Burgess Bird Book For Children, Christian, Home School, Nature, Sandpiper, Snipe, Woodcock, Youth. Bookmark the permalink. Love the woodcock photes, a very unique beauty and design!